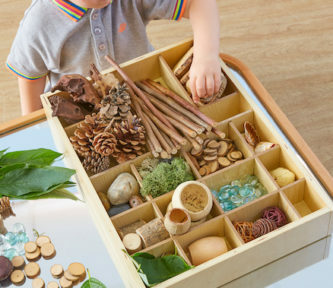 A tactile wooden tray designed to encourage early counting and sorting. 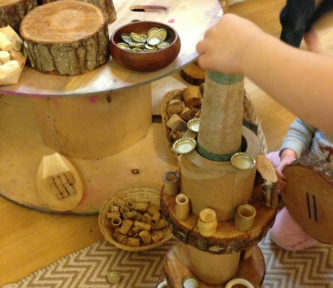 Offers many opportunities for open ended investigations. Featuring 9 sections in a 3 x 3 array.